PALMDALE – The community is invited to attend a ribbon cutting ceremony this Saturday to celebrate the opening of “Gabriel’s House,” located at 38533 4th Street East in Palmdale. The City’s third Neighborhood House is named in memory of eight-year-old Gabriel Fernandez, who was killed last year after prolonged child abuse. (Read more on Gabriel’s story here). The festivities will begin at 8 a.m., Saturday, March 1 with a complimentary pancake breakfast. An official ribbon cutting ceremony, led by Palmdale Mayor Jim Ledford will take place at 9:15 a.m. Program information and demonstrations led by Jimmy and Kim Lu of The Art Branch will be held from 8 a.m. to 12 noon. “We’re inviting everyone to come and check out what is going to be a very positive and creative force in our community,” said Palmdale’s Director of Neighborhood Services Mike Miller. Working with The Art Branch, “Gabriel’s House” will serve as a music and performing arts center to provide children in the area with the opportunity to develop their creative talents. A generous $20,000 donation by the Warnack Foundation provided for the musical instruments, sheet music, equipment and miscellaneous supplies needed for the start-up program. Saturday’s ribbon cutting ceremony is being held by the city of Palmdale in partnership with the Art Branch. 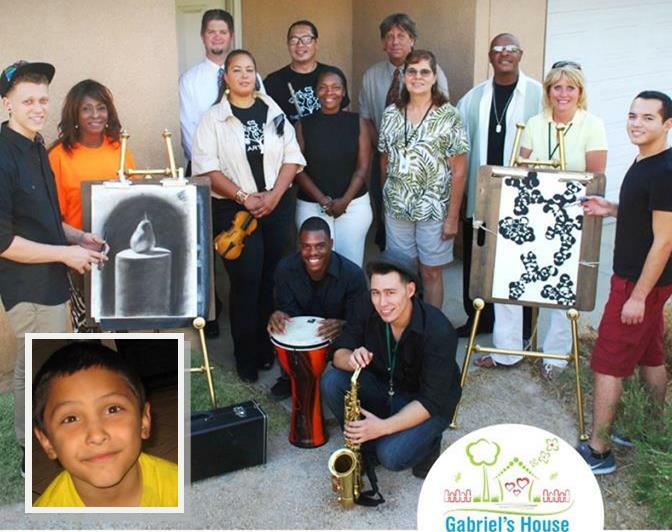 For information about programs at Gabriel’s House, contact Jimmy Lu at 310-806-8496.For more information about volunteering, call Trish Jones at 661-267-5473. 3 comments for "Gabriel’s House ribbon cutting this Saturday"
I am so happy to see the community strong in this way. I am more than inspire to do good in this wold, more and more each day. sweet kid, to bad hes no longer with us, im hoping this house inspires other families not to hurt their kids, and they come and take part in gabriel’s house activities.